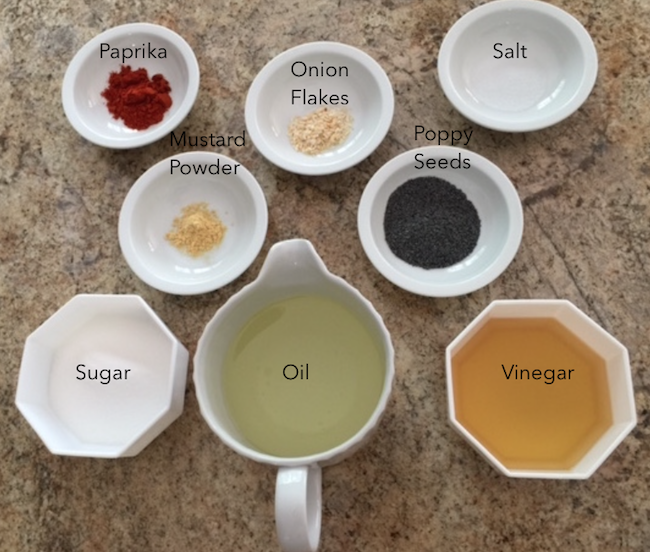 Mix all ingredients, except canola oil, in food processor until combined. 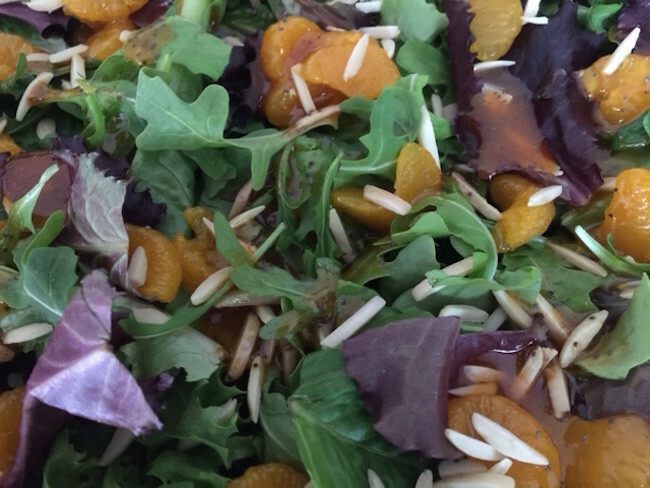 a spinach salad. It keeps for a month or so refrigerated in a sealed container. 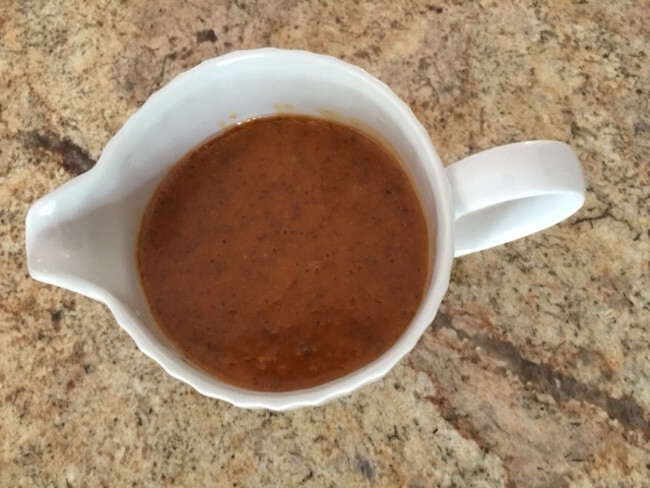 Mix all ingredients, except canola oil, in food processor until combined. Last, add canola oil through the top of the processor until everything is well combined. 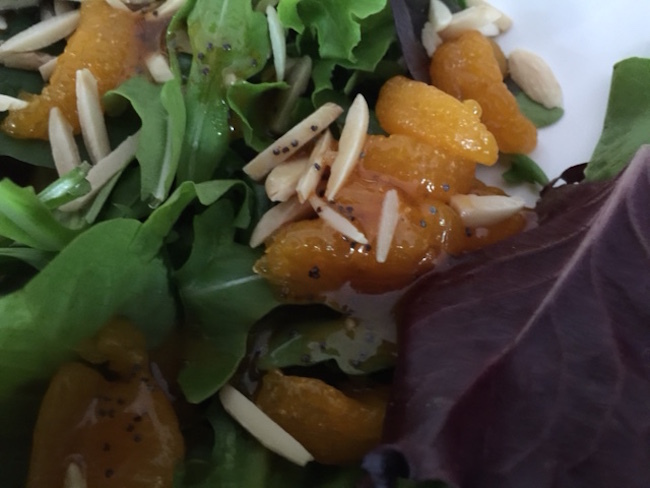 Serve over mixed greens, arugula, toasted almonds and mandarin oranges. It is also fantastic over a spinach salad. It keeps for a month or so refrigerated in a sealed container.